The Persians first discovered the “reeds that produce honey without bees” in India between the 6th and 4th centuries B.C. They, along with the Chinese and Greeks, adopted and spread the plant. 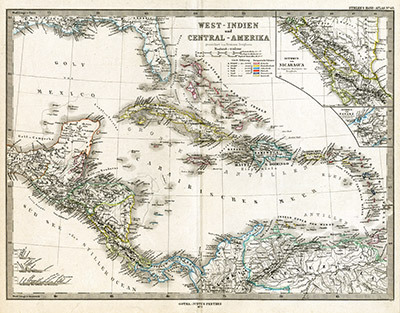 Christopher Columbus first brought sugarcane to the Caribbean during his second voyage to the Americas, specifically to the island of Hispaniola which today is Haiti and the Dominican Republic. In colonial times, sugar formed one side of the triangle trade of New World raw materials, along with European manufactured goods, and African slaves. Sugar (often in the form of molasses) was then shipped from the Caribbean to Europe or New England, where it was used to make rum. The precursors to rum date back to antiquity. Development of fermented drinks produced from sugarcane juice is believed to have first occurred either in ancient India or in China, and to have spread from there. The first distillation of rum took place on the sugarcane plantations of the Caribbean in the 17th century. 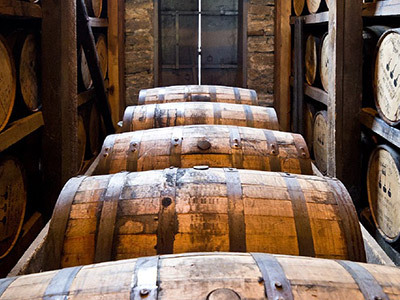 Tradition suggests rum first originated on the island of Barbados. Sugarcane is cultivated in tropical and subtropical areas with a plentiful supply of warmth and water, for a continuous period of more than six to seven months each year. It is one of the several species of tall perennial true grasses native to the warm temperate to tropical regions of South Asia and Melanesia. It belongs to an economically important seed plant family that includes maize, wheat and rice. 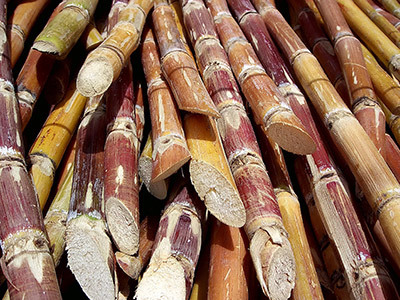 Sugarcane has stout jointed fibrous stalks that are rich in sugar sucrose. The plant can grow from 6 to 19 feet tall. Stem cutting has become the most common reproduction method used today. Once planted, a stand can be harvested several times; after each harvest, the cane sends up new stalks, called ratoons. Successive harvests produce decreasing yields leading eventually to replanting after two to 10 harvests. Sugarcane is harvested both by hand and mechanically. In hand harvesting, the field is first set on fire and burns the dry leaves without harming the stalks and roots. Harvesters then cut the cane just above ground-level using machetes. Sugarcane processing produces cane sugar (sucrose). Other products of the processing include bagasse which is used as a fuel, filtercake which is used as animal feed and fertilizer, and molasses which is used to make ethanol as well as rum. Within the Caribbean, each island or production area has a unique style. For the most part, these styles can be grouped by the language traditionally spoken. Due to the overwhelming influence of Puerto Rican rum, most rum consumed in the United States is produced in the ‘Spanish-speaking’ style which produces a fairly smooth taste. French-speaking islands are best known for their agricultural rums. 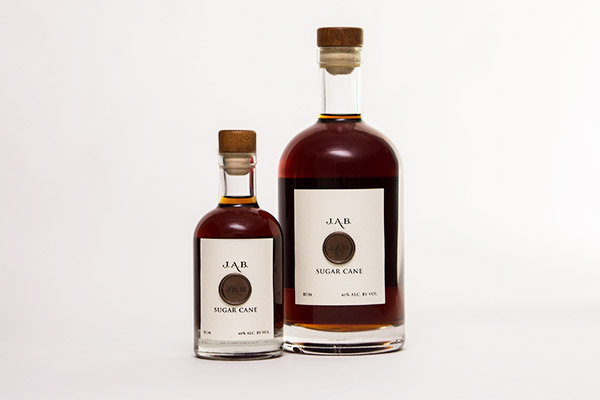 These rums, being produced exclusively from sugar cane juice, rather than from molasses, retain a greater amount of the original flavor of the sugar cane. English-speaking islands and countries are known for darker rums with a fuller taste that retains a greater amount of the underlying molasses flavor. J.A.B. 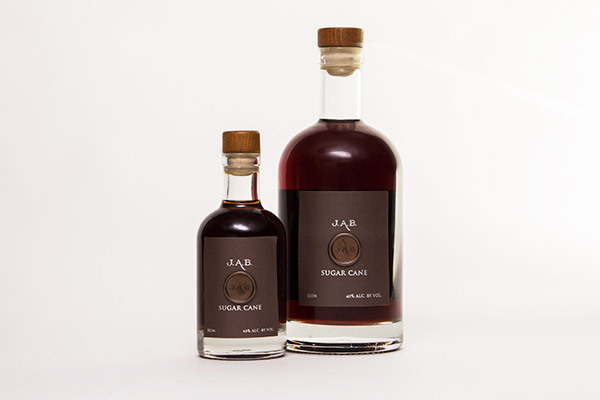 Sugar Cane EXO and XO are produced in the English tradition with the molasses used in the fermentation process sourced from throughout the Caribbean and the Americas in order to ensure the highest quality available. Yeast and pure water are added to the molasses to start the fermentation process. J.A.B. Sugar Cane uses proprietary slower-working yeasts which causes more esters to accumulate during fermentation thus allowing for a fuller-tasting rum. Besides rum punches, cocktails such as the Cuba libre and daiquiri have well-known stories of their invention in the Caribbean. Tiki culture in the U.S. helped expand rum’s horizons with inventions such as the mai tai and zombie. Other well-known cocktails containing rum include the piña colada and the mojito. Cold-weather drinks made with rum include the rum toddy and hot buttered rum. A number of regional specialties also use rum, including Bermuda’s Dark ‘N’ Stormy, the painkiller from the British Virgin Islands, and a New Orleans cocktail known as the Hurricane. 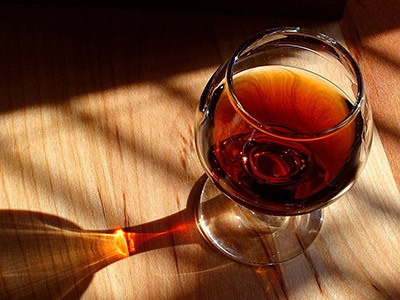 Rum is used in a number of cooked dishes as a flavoring agent in items such as rum balls or rum cakes and is commonly used to macerate fruit used in fruitcakes or to make marinades for Caribbean dishes. 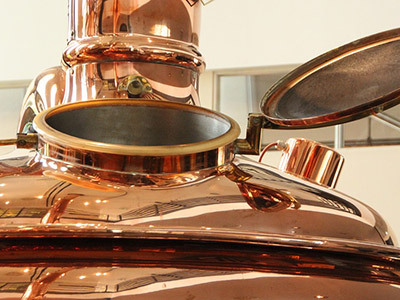 Rum may also be used as a base in the manufacture of liqueurs such as J.A.B. Herbal Cane. J.A.B. Sugar Cane EXO and XO spirits can be used in your favorite cocktails and mixed drinks but are best appreciated straight or on-the-rocks. Doing so you can note that J.A.B. Sugar Cane EXO is complex yet smooth with notes of vanilla, dried sultanas, apricots, and a hint of butterscotch, while J.A.B. Sugar Cane XO is robust and smooth with notes of prune, nutmeg, vanilla, and orange.